Because everyone has a dish scrubber and no one has a good place to put it. 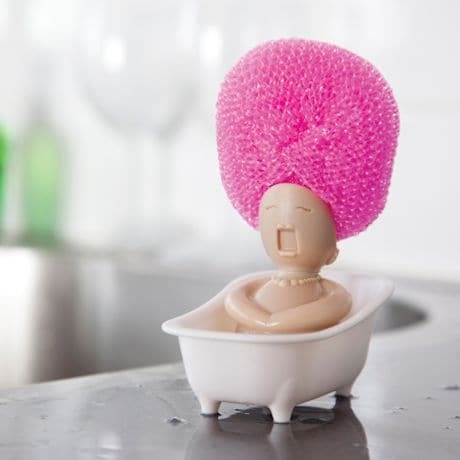 Devoted little diva (she's always singing, even in the tub) turns your scrubber into her latest hairstyle. Each new scrubber changes her look. Plastic; about 4" long, 2½" high. Comes with a silvery metal scrubber; works with other standard scrubbers.